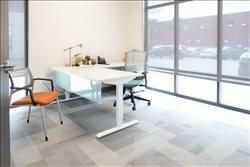 Find My Workspace lists over 95% of the executive office suites market in Cedar Rapids. Simply click Request Quote to check pricing for one office, or Add to Basket for multiple offices. All spaces are furnished and include internet, telephone, and a front desk reception. Dedicated space members have full access Nationwide. Enjoy flexible terms with monthly or yearly leases available. Utilize professional meeting space for presentations or client meetings. The meeting rooms and day offices are equipped with A/V presentation equipment and whiteboards. Enjoy flexible bookings by reserving online in 15 minute increments. You only pay for what you need. Save time by allowing the center to answer and screen your phone calls. Use a professional business address and private locking mailbox for your company. This site ensures front desk reception to receive packages and greet guests. Enjoy 24/7 hours access to the location’s open workspace that includes WiFi and access to the community kitchen. The coffee, tea, and water are always complimentary for you and your guests.